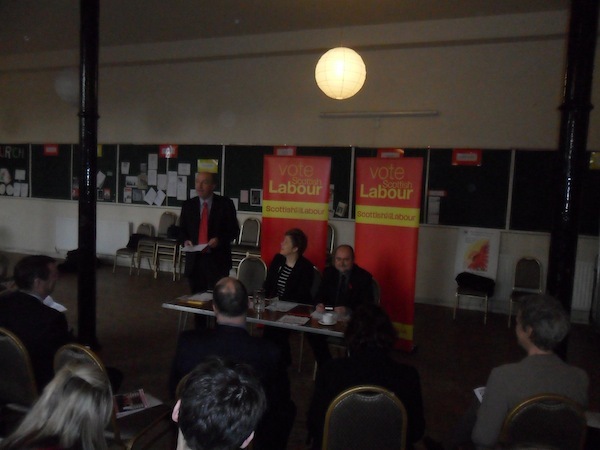 On Monday I took part in a liveblog with the Edinburgh Council Labour group for the Edinburgh Reporter. It was the first one I have been involved in running and it was a good, if somewhat stressful experience. The day started slowly as a number of technical issues prevented us from getting Andrew Burns and Ricky Henderson from the Labour group online. We were also worried that there were very few questions coming in from the public as the whole point of these events is to get the public involved and give them a chance to question their elected officials directly. Once we got up and running and started tweeting about the event questions did begin to come in. The main reason for the timing of the blog was the launch of Labours Moving Edinburgh Forward consultation document last week. Councillors Burns and Henderson were very generous with their time and open with their answers. However, looking back at the event and the Moving Edinburgh Forward launch a few potential pitfalls struck me. Firstly during the liveblog the councillors occasionally fell into ‘political speak’ using phrases like ‘rationalisation’. If they really want to engage with the public and sell them their ideas they will have to speak plainly in language people can understand and not in ways that can be seen as ‘waffle’. Secondly they will have to be on their guard that the co-operative model is not the ‘big society’ by another name. There are many appealing aspects to co-operatives and they should be highlighted – to be fair Burns and Henderson did a fair job of this during the liveblog. The final point I would say is that it would be very easy for the Labour campaign to become a negative one. So far the group and Burns in particular have been at pains to be positive. They have concentrated on their ideas for improving the city and called for more cross party co-operation. There is a danger however of this changing as election day approaches. There are parts of the literature that could be seen as talking Edinburgh down and making things seem worse than they actually are. Also despite Burns best efforts to keep things positive I get the impression that some in the party are straining at the leash to give the current administration a real kicking and launch personal campaigns against certain individuals. This would be a mistake, The Labour party suffered a heavy defeat in May’s Holyrood elections on the back of an incredibly negative campaign. Iain Gray appeared to have a blind spot to the fact this type of campaign wasn’t working. In fact he appears to still have the blind spot as his farewell speech to conference was full of negativity towards the SNP where a positive speech about Labour’s future would have achieved so much more. The party in Edinburgh must learn from these past mistakes. All in all the event was a success. Hopefully the other political parties in the capital will take up the offer to participate in their own liveblog. It gives the party a chance to speak directly to the electorate and gives the voter a chance to question the people they vote for and that can only be a god thing. Edinburgh Labour today launched its Moving Edinburgh Forward consultation document ahead of the 2012 local council elections. The document, which was unveiled along with the group’s full list of candidates for next May’s poll, endorses a move towards a co-operative method of local government in the city. The party promise to engage with local communities and to involve all political parties in decision-making under their plans. The document highlights a number of areas which could be implemented in a co-operative manner. These include setting up a ‘childcare co-op’, the re-introduction of community newspapers and giving local sports clubs a role in running the pitches and pavilions they use. Burns feels that the party is showing commitment to the city by launching a consultative document six months ahead of the elections, and by being the first group from any party in Scotland to select all its candidates. Burns said: – “It is an absolute statement of our intent to move Edinburgh forward at next May’s local elections. The veteran naturalist's BBC programme on climate change is his strongest warning yet on the threat of rising temperatures. Police confirm that the death of Bradley Welsh in Edinburgh's west end is being treated as murder. The home secretary speaks out as hundreds of Extinction Rebellion protesters are arrested in London.